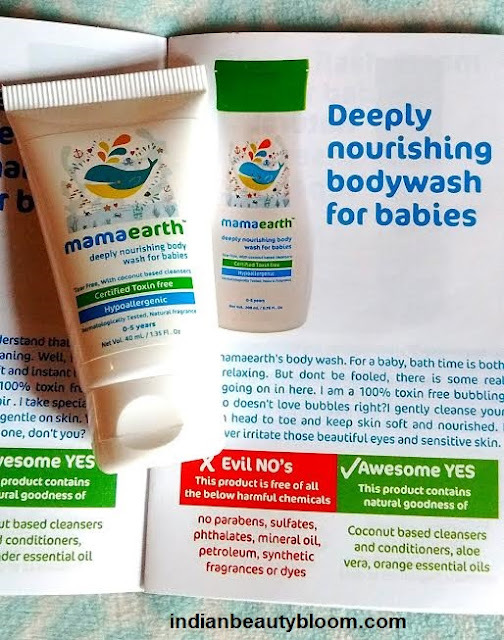 In today’s post I am going to introduce Mama Earth Baby Essential Kit . 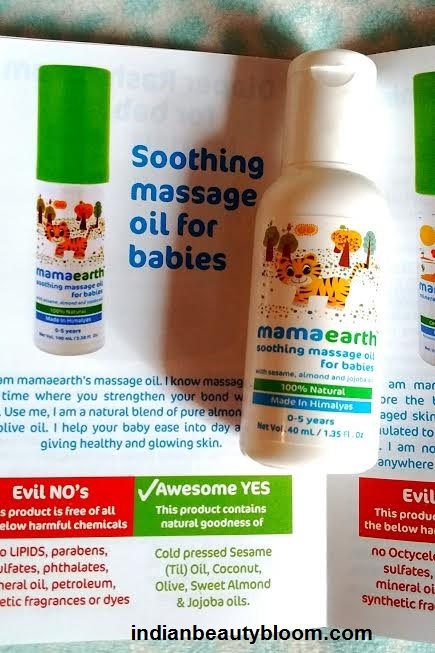 Mama Earth is Asia’s 1st Made Safe Certified brand . Started by Couple Varun Alagh & Ghazal Alagh , it’s a brand by parents and for parents who want to use toxin & chemical free products for their kids . Their products go through all safety tests to ensure that toxin free product reach kids . They use natural ingredients to prepare their products , most of which are plant based like Coconut oil , Aloe Vera gel , Jojoba Oil , Shea Butter etc. Mama Earth Baby Essential Kit is a Cute Little Kit with four Mama earth products . 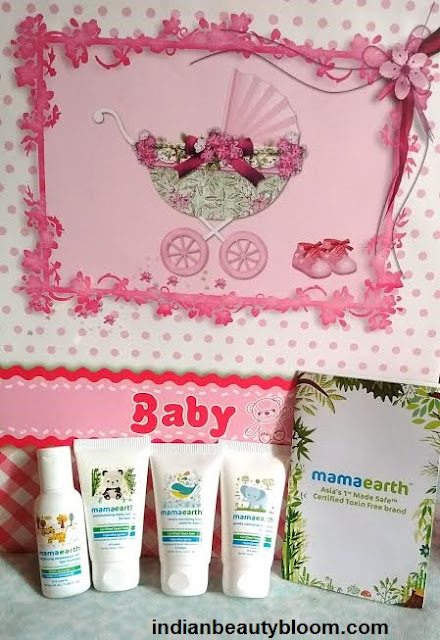 It contains travel size packs of Baby Shampoo , Body wash , Massage Oil , Baby Lotion . It’s a small pouch which can be easily carried in Hand bag or purse and contains all necessary Bath & Body essentials for small kids. Product packaging of these products are great and attractive and has some cute animal images on it . 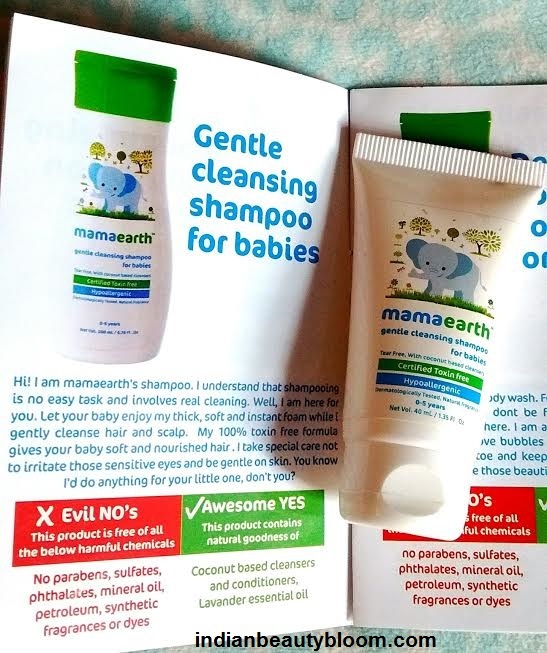 It’s a Tear free shampoo which has a coconut based cleanser . It also Lavender Essential oil and is free of Sulfates , Parabens and all harmful chemicals . It’s a mild shampoo which thoroughly cleanses scalp and hair . The best part is it does not irritates eyes . Price Rs 299 for 200 ml. It’s a Natural blend of Pure Olive Oil , Almond Oil and Jojoba Oil . Also Contains Cold Pressed Sesame Oil . Does not contains any lipids , Parabens , Sulfates , Mineral Oil , Synthetic fragrance . Gets easily absorbed in skin and nourishes the skin . A good massage is essential for small kids as it helps them to get good sleep . Price Rs 299 for 100 ml. It’s a Coconut based cleanser with Aloe Vera , Orange essential oils . It cleanses the skin and keeps it soft and nourished . Does not contains any Mineral oil , Sulfates or synthetic fragrance . Its an Excellent product which contains Shea Butter , Jojoba Oil , Almond Oil , Aloe Vera Extract , Calendula Extract . It’s a light weight moisturizer which protects the skin from dryness and gives a Velvety touch . So these were the products I got in Travel Kit , all excellent products with good packaging and great ingredients . 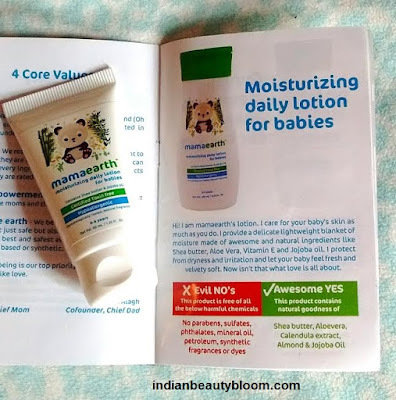 I am using these products for my kids and I like them all , would recommend these to others so that they can also try Toxin free Natural Products for their kids . One can buy this kit at a price of Rs 399. One can buy these products from online stores like Amazon.in , Nykaa.com , Gonutrio.com etc .